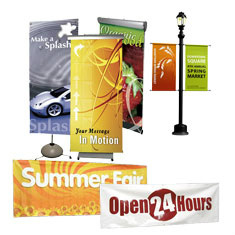 Banners, Retractable Banners, Flags, etc. Bakersfield Signs Vinyl Banners are the most popular, versatile, and cost effective type of sign among businesses today. Banners, small or large, are a powerful and inexpensive way to bring attention to your business, project, or special event.If you're planning a bake sale, a stadium event, or anything in between, your custom banners from Bakersfield Signs will attract attention, proudly display your brand, convey useful information, and most importantly, drive sales! We offer many options and finishings for our custom banners. See some of our many options. Soccer, Baseball and Team Banners get attention for your league and encourage participation. Use our full color Banners to let the neighborhood know when you will be having tryouts, practices and games. Bakersfield Signs has a variety of templates which we can customize for you. Add your team’s name, mascot, and colors to your Banner. Very visible at any location, Bakersfield Signs Flags are a wonderful tool to use to catch attention. Our flags are available in many sizes and colors, including custom made with your event logo, company seal or motif's complementary colors. 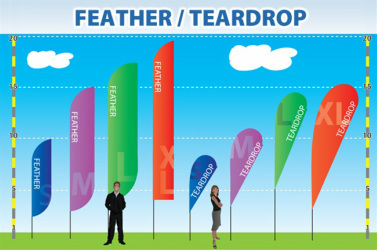 Bakersfield Signs has the experience to help you maximize your available space and decorate and advertise with flags.